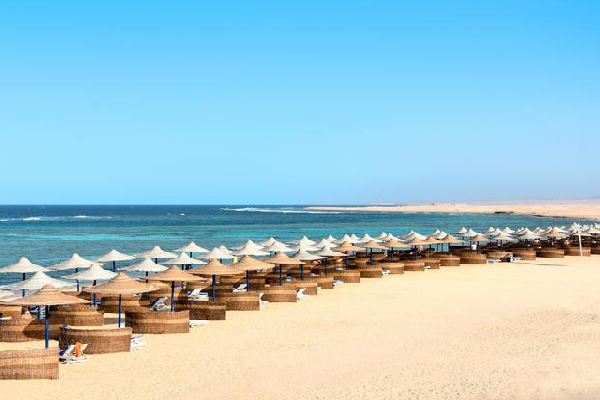 With the beach at your doorstep, nestled in a secluded cove in Marsa Alam, the Fantazia Resort is where you can enjoy your own spot of paradise. Spend your days by one of the three pools, enjoy a feast in the buffet restaurant and sleep in modern, spacious rooms. 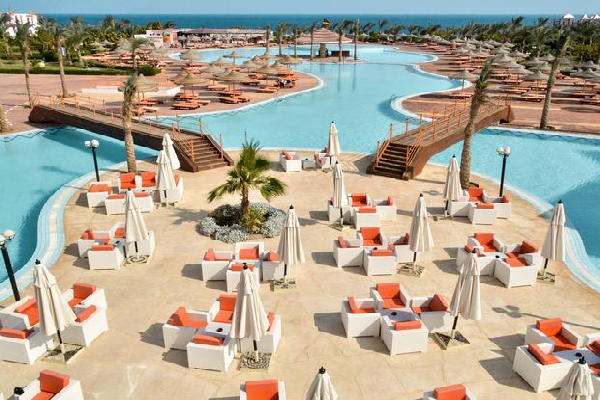 This huge family-friendly hotel is a great choice for an all inclusive holiday in the Egyptian sunshine. Location: Directly on the beach • 24km from Marsa Alam centre and 85km from the airport. Facilities & Activities: Three swimming pools (one heated in winter) • Kids' pool • Sunloungers and parasols at the pool and on the beach • Beach/pool towels • Buffet restaurant with terrace • Snack bar • Six bars including, pool bar, two beach bars and lobby bar. PAYABLE LOCALLY: Horse riding • Beauty salon • Massage and treatments • Sauna • Steam bath • Whirlpool • Italian à la carte restaurant • Billiards • IDive centre • Shisha • Freshly squeezed juice • Room service. 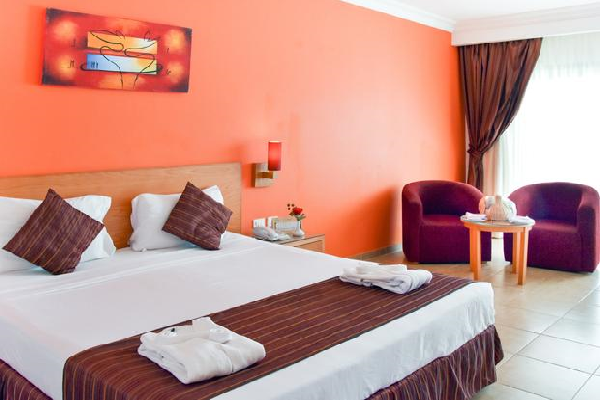 Accommodation: Standard rooms (up to three) have air conditioning, mini-fridge, satellite television, safe, hairdryer, bathroom with bath or shower and balcony or terrace.• Family rooms which are larger than standard rooms for up to four people. Supplements may apply on certain room types. All Inclusive: Here are just a few of the package highlights:• Buffet breakfast, lunch and dinner at the main restaurant and late breakfast plus lunch at the beach bar• Hot, soft and alcoholic drinks including cocktails served 10am-midnight• Snacks during the day plus afternoon tea• Activities and entertainment including table tennis, darts, beach volleyball, football and boccia• Access to the gym.